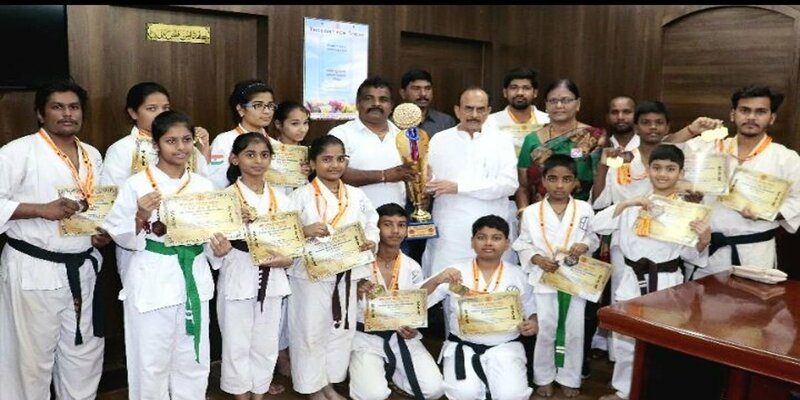 Fifteen students of GVR Karate Academy who participated in Karnataka Invitational National Karate Championships held in Bengaluru on December 23 won a total of 26 medals, of which 14 are gold medals, six silver and six bronze medals. They also won the overall championship for the Telangana state. State home minister Mahmood Ali congratulated the students and wished them to perform better in future. TRS senior leader Devi Reddy, Vijitha Reddy, GVR Karate Academy director Dr GS Gopal Reddy, Mahender Mudhiraj and Osmania University professor Dr Umamaheshwar participated in the programme.